~5-6 month supply. 0.33 oz. POWERFULLY NOURISHING FATTY ACIDS restore moisture and emolliency to dry, challenged skin while also helping to reduce the appearance of fine lines and wrinkles. Contains premium-grade Sandalwood, Borage, Chamomile, Lavender, Rosemary, and Jojoba Oils to repair dry, flaky, damaged skin. Effective for winter dryness, plane travel, dry environments and high altitudes. FOR SEVERELY DRY SKIN: Apply a drop on each cheek, a drop on the forehead and a drop on the chin. 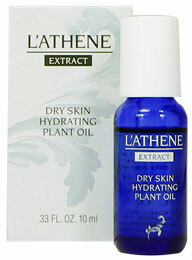 Massage in and follow with L'ATHENE Moisturizer. Do up to every morning and every night as needed depending on severity of dryness. Once the skin looks less dry and feels smoother, can cut back to every night and then as needed. FOLLOWING LASER TREATMENTS: (Intense Pulse Light, Laser Resurfacing, Chemical Peels or Microdermabrasion): Apply 1-3 drops (depending on the size of the area - you don’t need much) 3 times a day to nourish and calm skin, relieve discomfort from dryness, and soothe skin. Can help minimize scabbing. You may feel a tingling sensation - should subside in few minutes. 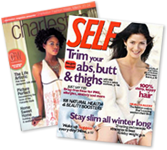 For use, following the post-op program, when your skin is ready for skin care products. FOR CRACKED CUTICLES: Rub in 1 drop per hand of oil as a night treatment. Massage in. Can use day and night depending on the severity. Follow with NEROLI Body Nutrient Creme to moisturize the entire hand.